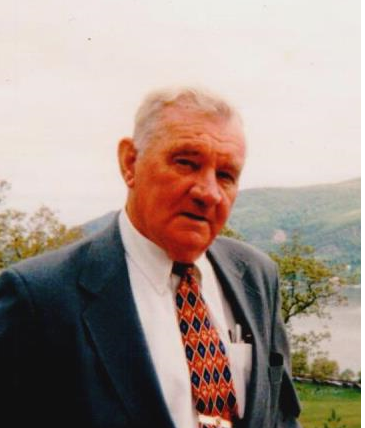 Thomas L. Shustack of Walden, NY, the retired founder of Shustack Aluminum, Inc, and a longtime resident of the area, passed away on Wednesday February 28, 2018. He was 89. The son of the late Felix Shustack and Mary Roshko Shustack, he was born May 30, 1928 in Shenandoah, Pennsylvania. Tom was probably best known for his business, Shustack Aluminum, and the exceptional craftsmanship he and his crews performed for over 40 years. He was proud that most of his business resulted through referrals from his thousands of satisfied customers. If you didn’t know him through his business, then you may have met him after Sunday mass at Our Lady of the Lake Church, as he tried to coerce you into buying a Pot of Gold ticket to support the parish. After playing football in High School, Tom served in the Army as an MP, and was also the starting tight end on the Wetzlar, Germany based Rams, a traveling football team that played for the entertainment of the troops in post WWII Germany. He was additionally a key member of the mighty Shustack Aluminum Softball team, helping them to win back to back world championships in the Walden softball league in 1980 and 1981. Tom, known by many as “POP”, enjoyed entertaining and was the host of many social gatherings over the years on Shustack Mountain. He loved classical music, and mowing the lawn on his John Deere tractor. His two greatest creations – the doll house and treehouse he built for his kids – were engineering marvels, two mini houses with functioning doors and windows, electric and of course, aluminum siding. A man of great faith, he was a member of Our Lady of the Lake Catholic Church, Catholic War Veterans, and was a past Knight of the Year for Knights of Columbus Council #444, Newburgh. He was the widower of Ann Shustack and was predeceased by Lillian Shustack. Survivors include his daughter, Deborah Shustack and her companion, Bruce Vetro; his son, Leonard Shustack and his wife Carrie; brothers Eugene and Vince Shustack as well as several nieces and a nephew. He was predeceased by brothers Leonard Shustack and Albert Shustack. Visitation will be 2-4 and 6-8 PM Friday April 20 2018 at Millspaugh Funeral Home, 22 Bank St., Walden, NY. Mass of Christian burial will be on Saturday April 21, 10 am, at Our Lady of the Lake Church, Route 52, Newburgh, NY. Tom’s good friend Msgr. John Budwick will officiate.